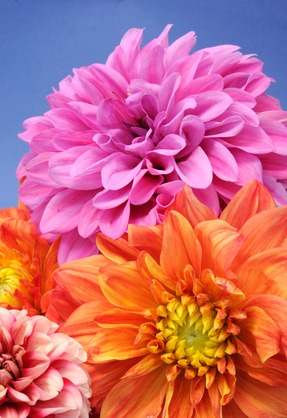 One thing’s for sure: dahlias don’t smell as blowsy as they look. It’s the leaves and the stems which are used in fragrance, giving a slightly bitter note. Originating from Mexico, Central America and Columbia, and then hybridised by clever Dutch plant breeders, dozens of species of tuberous dahlia now brighten our summer gardens. (They’re deeply alluring to slugs, as gardeners know.) The dahlia fragrances on the market, we’ve a hunch, are inspired by the show-stopping appearance of this flower, rather than its scent: it’s not about to take over from jasmine and rose in the perfumer’s arsenal, anytime soon. Like quite a few flowers, daisy’s used more for conjuring up an image in a perfume than for the actual smell. 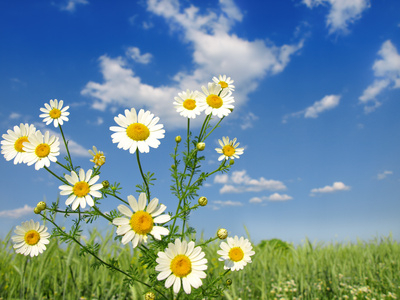 In nature, daisies have a subtle, herbaceous green scent. 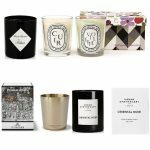 But they look fresh, and cheerful, and uplift the spirit – and in fragrance marketing, that’s can be a useful allusion. The daisy gets its name from the old English: ‘day’s eye’ – because the flowers open up at dawn, and close at dusk. Gardeners everywhere probably wish that every dandelion on the planet could be weeded out and imprisoned in a perfume bottle. 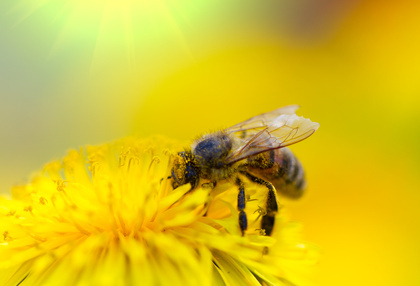 Alas, that’s not going to happen: the dandelion (closely related to the daisy) offers a subtle, bitter-sweet and aromatic note with whispers of citrus and rose – nothing, though, that perfumers are falling over themselves to use. Just like daisies, the yellow flowers open at daybreak, and bed down for the night. 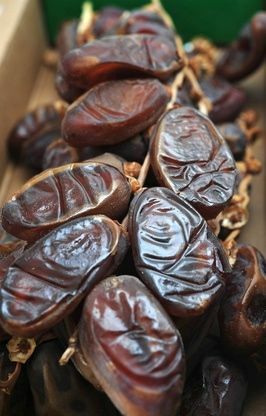 Next time you’re biting into a date – that dried fruit, which conjures up images of oases, palm trees (and just possibly camels) – have a sniff, first. You’ll get a sweetness, maybe a hint of caramel, from this ‘fruit of Heaven’ as it’s known. (Dates are one of the oldest cultivated tree crops.) 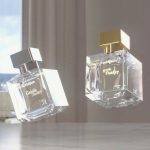 In perfumery, date is used as a fruitily sweet fantasy note – especially in gourmand fragrances – giving a drizzle of caramel, honeyed, buttery sweetness. Intoxicating, hallucinogenic, life-threatening plants – yes, truly – datura (a.k.a. Angel’s trumpet, or brugmansia) have been prized as sacred in many cultures. Originating from south America, this member of the nightshade family can be grown in greenhouses – and outside, during summer months, as ornamental, which range from white to pale purple via yellow and pink. Angel’s trumpets bloom at night, pumping out a heady, sweet scent which nowadays is often recreated synthetically. Probably just as well: the datura flower has been linked to many deaths, and has many powerful and/or downright dangerous side-effects. Down the years, those have been harnessed in rituals to induce a hallucinogenic state which allowed mere mortals to connect with the Gods (so legend has it). In voodoo, datura is used to induce ‘Zombification’. 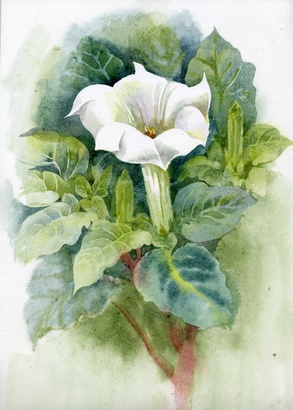 There’s a great article on datura on the perfume website Fragrantica, if you click here. Think of this as a ‘chameleon’ note: even more than most notes, davana is said to smell differently on each of us – which is why it’s prized by some perfumers. 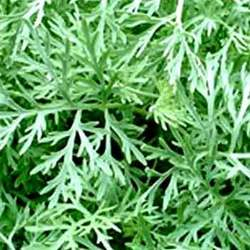 The davana herb (a member of the silver-leafed Artemisia family) is native to India, and once it’s steam-distilled has a sweet, tea-like smell, reminiscent of dried fruit. Mostly, it’s used in eastern and oriental perfumes, chypres and fougères – but pops up in one very famous fragrance (see below). Sprinkle it on your smoked salmon. Chew on it to combat wind. Or enjoy it as a delicate, slightly spicy herbaceous note, in fragrances. 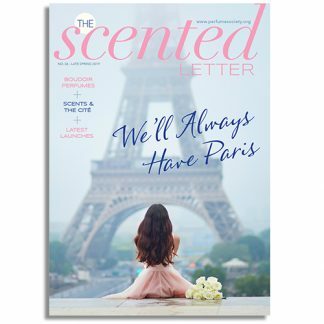 (Mostly men’s, but a few shared and women’s scents; it goes really well with other aromatics, such as fennel, licorice, tarragon, basil and fennel, in aromatic and oriental creations.) 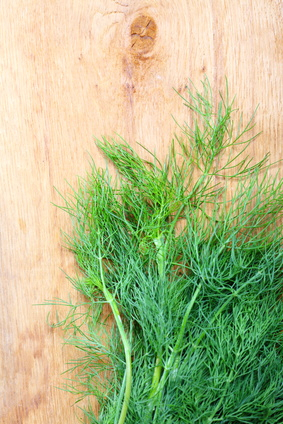 Botanically, dill’s known as Anethum graveolens, and originates from the Med, and southern Russia. With fruits so abundant in contemporary perfumery, it was inevitable that the sweet stickiness of dried fruits, too, would be make their way into some creations. Once upon a time, dried fruits were a serious luxury, for the wealthy to enjoy in haute cuisine. Today, many of us carry a little bag around to munch on during the day, as a (slightly) healthier alternative to sweets. 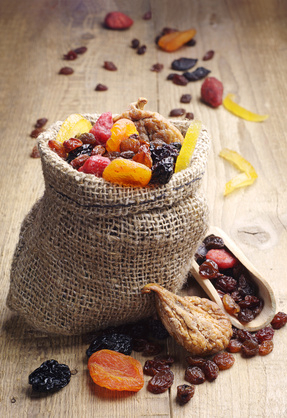 Something else to slip into your handbag, then: different dried fruits are now recreated in perfumery – ‘fantasy’ ingredients (i.e. synthetic) – to evoke the sticky sweetness of dried figs, dates and apricots. 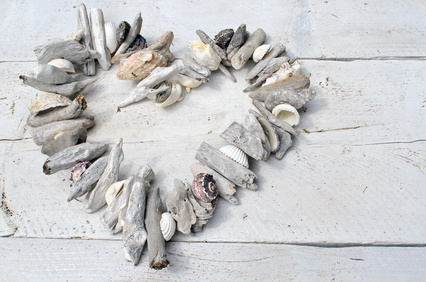 It’s the image of driftwood that this note really evokes – visions of saltiness, seaside, water and lightness. (There’s a touch of mustiness if you smell a driftwood note ‘neat’ from the vial, which perfumers can cleverly round out with other ingredients.) Mostly, this evocative note – conjuring up images of sculptural wood cast ashore by stormy seas, and bleached by the sun – makes its way into men’s fragrances, or light, beach-inspired summery colognes. The clue’s in the name: this plant’s more widely used to dye clothing. (It’s also used in folk medicine.) 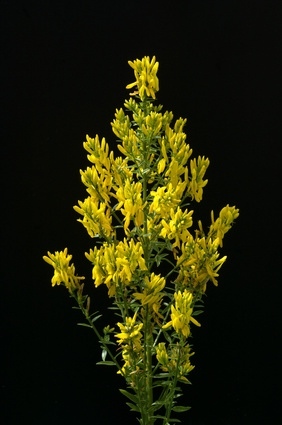 With golden yellow pea-like flowers, the short, bushy shrub Genista tinctoria (which is a member of the broom family) flourishes in dry uplands, in the US. What does it smell of, in a fragrance? It’s dry, cool and bracken-like, adding a green feel to a scent.